November 2013. We’ve been discussing this for a while, but here we finally are — we’ll be cruising the North of Norway for the “Hunt of the Northern Light”. 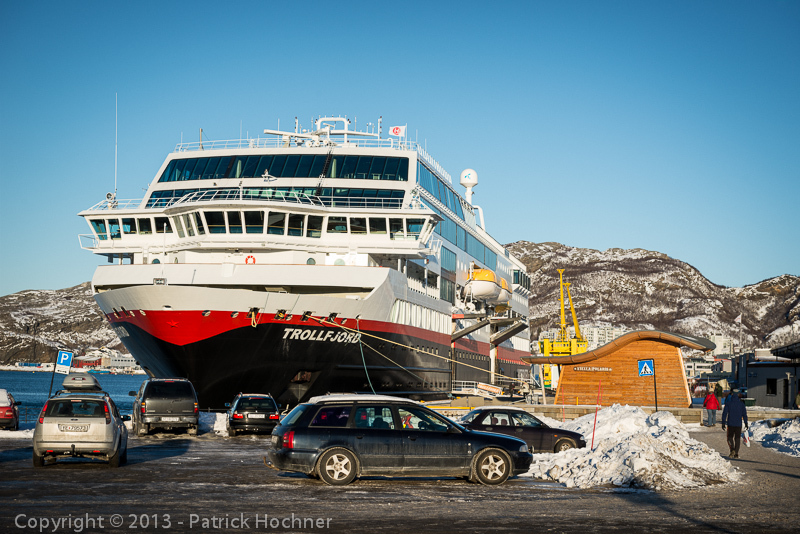 Our trip started in Bergen, where we joined the largest and newest Hurtigruten ship, the Trollfjord. Bryggen (the Wharf in Norwegian) is a series of Hanseatic commercial buildings lining the eastern side of the fjord coming into Bergen. Bryggen has been on the UNESCO list for World Cultural Heritage sites. 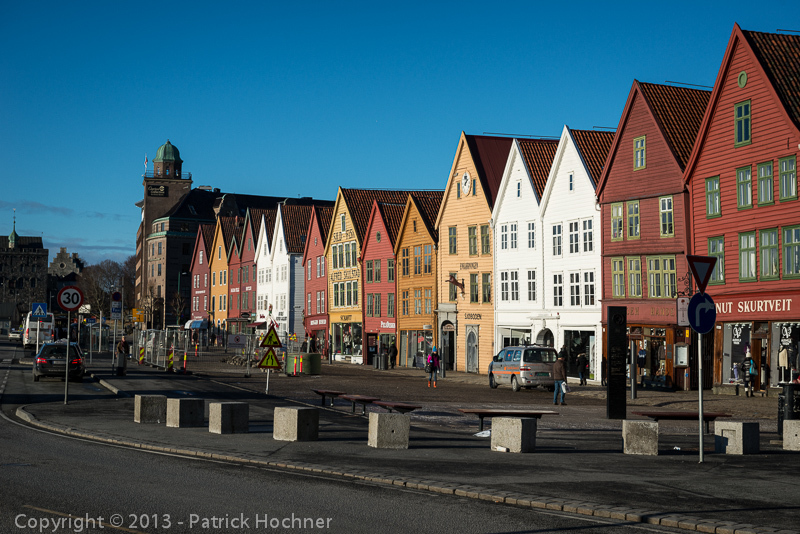 Bergen was founded in the 11th century and the area of the present Bryggen constitutes the oldest part of the city. The weather was gorgeous and we had plenty of time to walk around, and even take the Fløibanen Funicular to ride up to the top of the Fløyen mountain (320 meters above sea level) where we had a spectacular view of the whole city of Bergen. 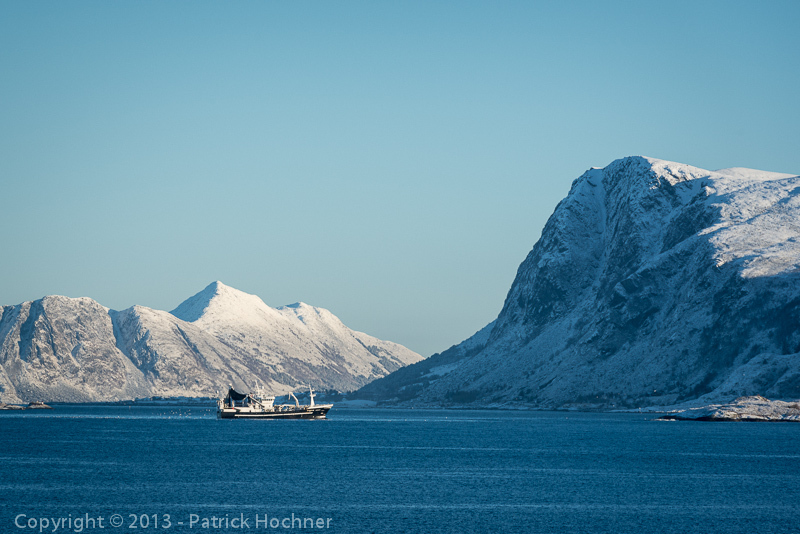 In late afternoon, we boarded the huge Trollfjord, our ship for the first part of our cruise toward the north of the country. The ship navigates between the numerous islands. And we can see people just about everywhere. 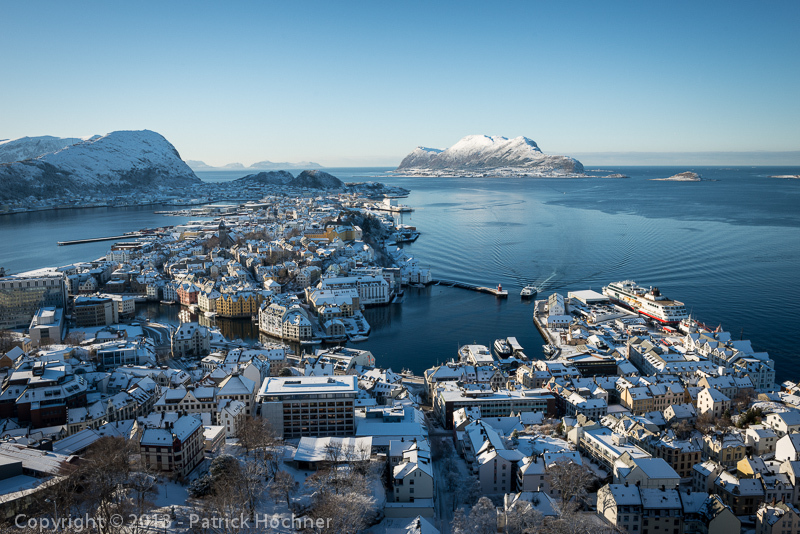 Alesund was our next stop, and we had the chance to walk up the 418 steps under a perfectly blue sky to reach the Fjellstua restaurant located on top of Aksla, the hill that overlooks the town. The view was well worth the effort to walk up. Back in the city, we enjoyed the unique concentration of Art Nouveau architecture of the city. 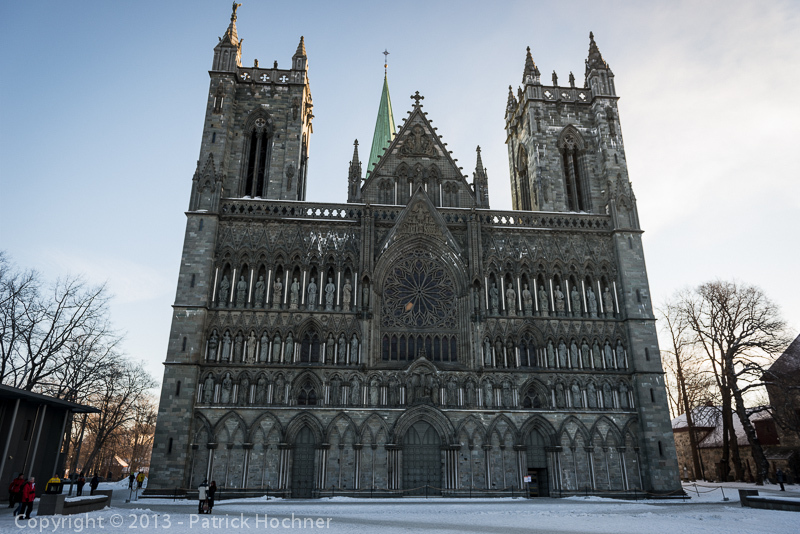 Next came Trondheim, the third most populous municipality in Norway, with a population of almost 180,000. 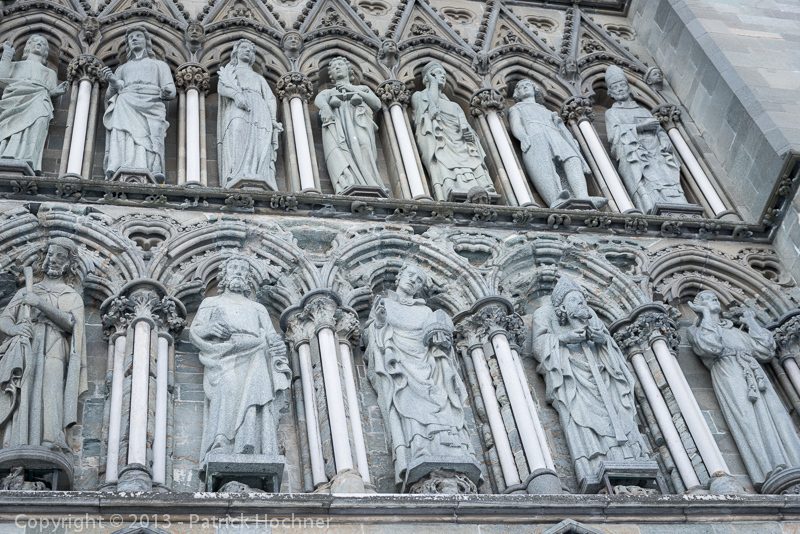 The city was the capital of Norway during the Viking Age. 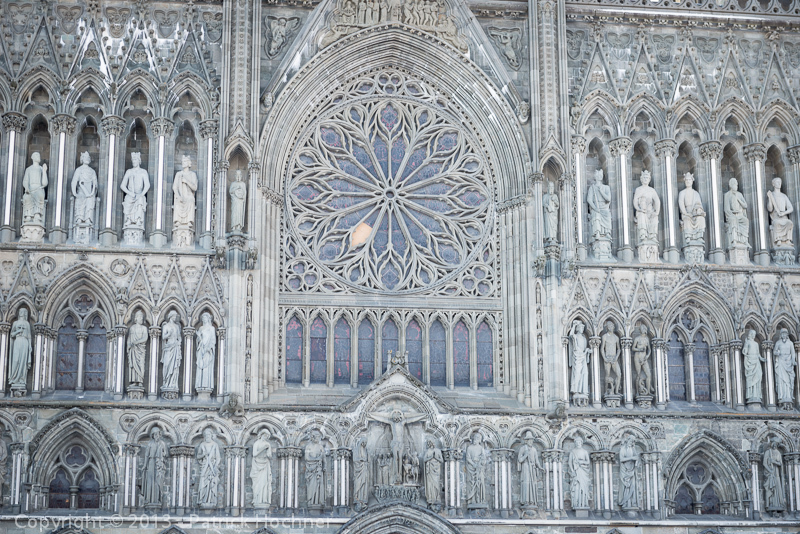 The must see place is the Nidaros cathedral, built from 1070 on. 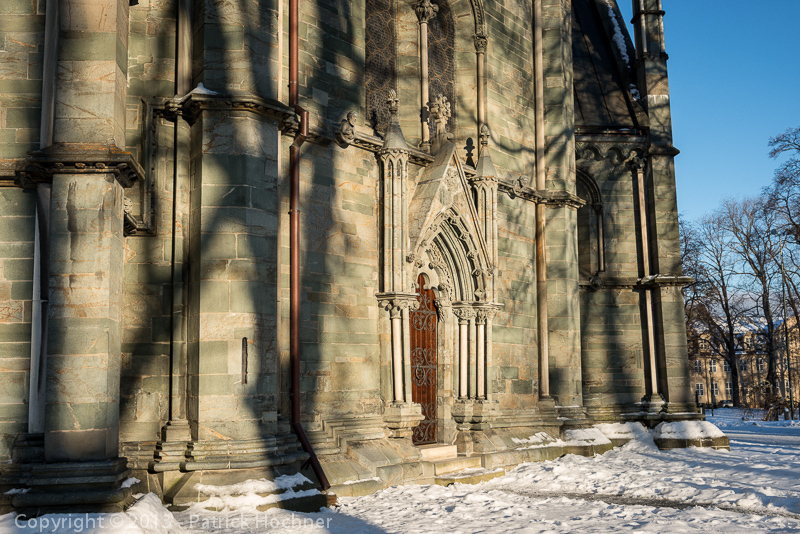 It is the most important Gothic monument in Norway and was Northern Europe’s most important Christian pilgrimage site during the Middle Ages. Again, the weather was beautiful. The cruise continues slowly, beautifully, with a perfect weather. On the Saturday, we crossed the Arctic Circle and attended the ceremony by King Neptune. 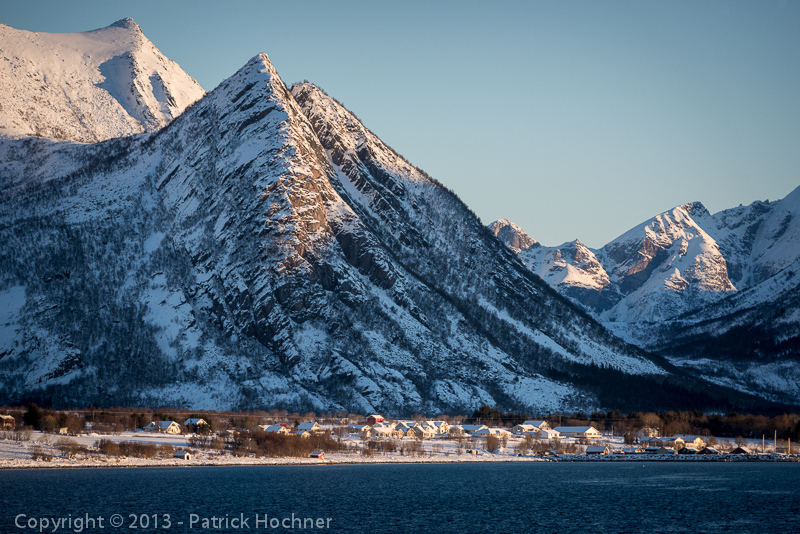 We briefly stopped in Bodo on the way, and arrived as planned in Svolvaer, the capital city of the Lofoten islands. This is where we stopped for a couple of days. 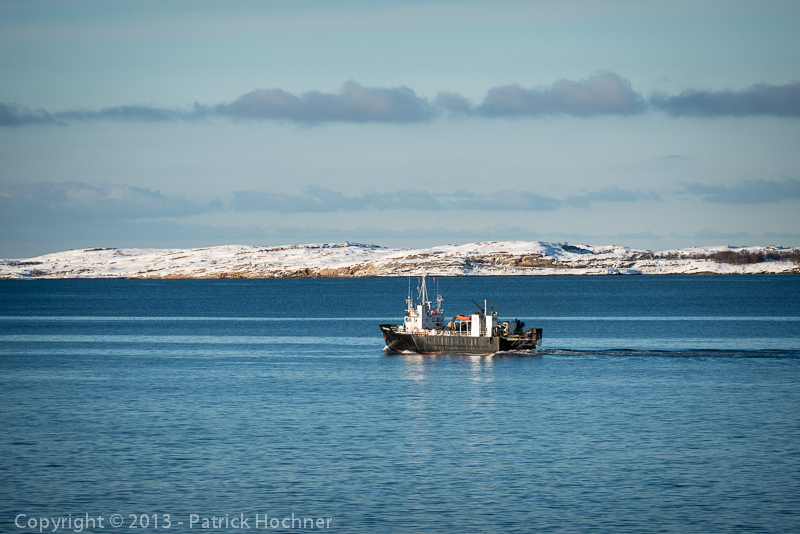 The view from the ship is usually quiet and beautiful. We’re very lucky to have such a nice weather. 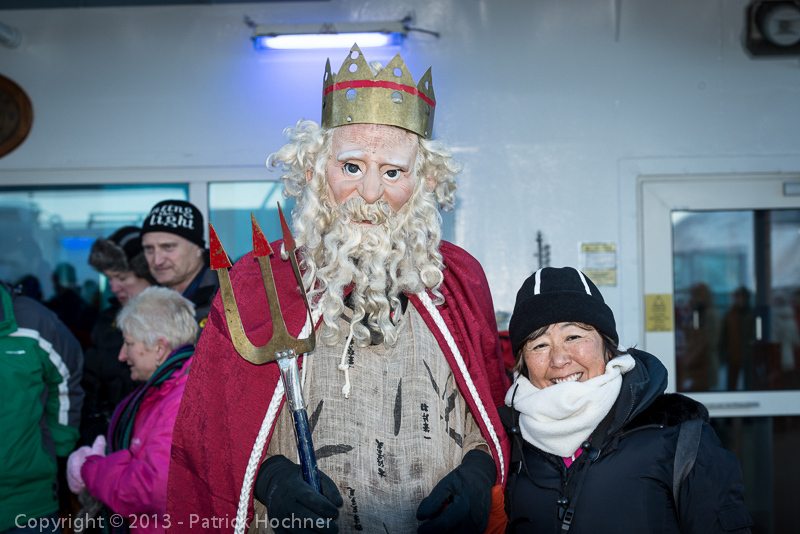 King Neptune came over for the celebration of the Arctic Circle passage. Cold water and ice in the neck for all! The blue sky reflects itself in the blue ocean. Quiet and peaceful. Bodo is the last stop before we leave the large and modern 9 stories Trollfjord. 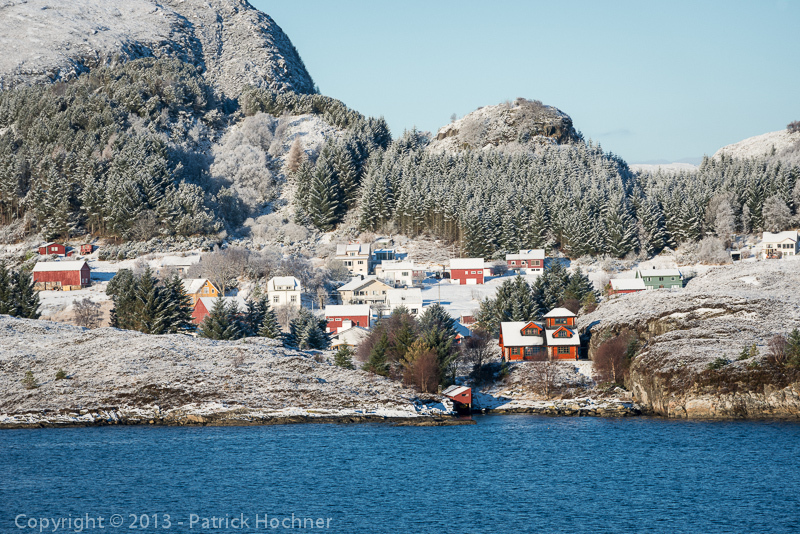 We will continue our cruise with the Lofoten, an older and smaller ship from Hurtigruten.